This recipe is quick, easy, and oh so good. We love middle eastern food but rarely make it at home, usually choosing to get it at one of the restaurants in Albuquerque. 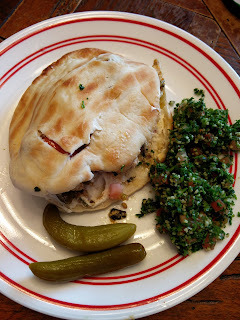 We were surprised to find that it is actually quite easy to make this delicious chicken shawarma. 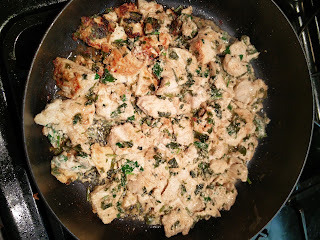 The first time we made this was a few weeks ago, before starting this blog and we closely followed the recipe found here : http://www.myrecipes.com/recipe/spicy-chicken-shawarma. This time, we made it with our own variations. 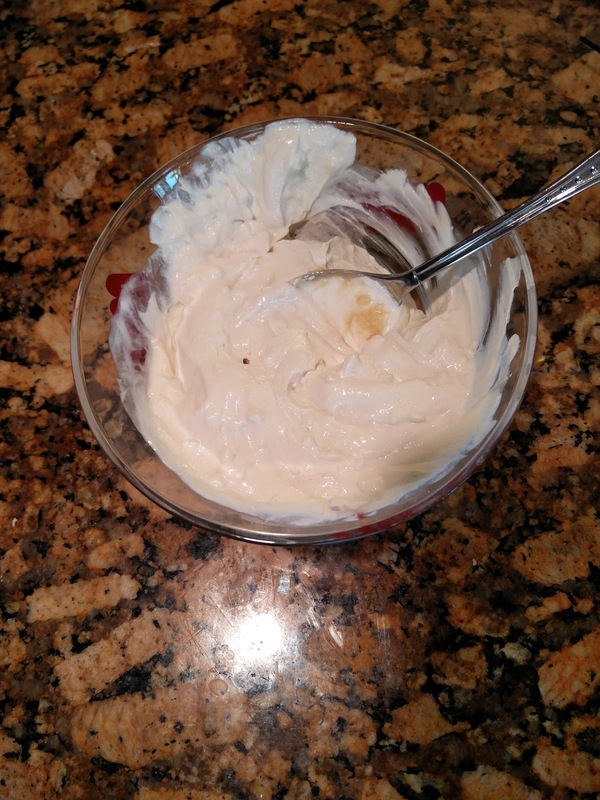 We prefer more spices in our meat and we do NOT like greek yogurt. 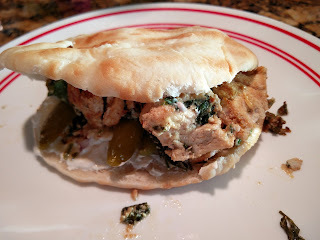 Additionally, the first time we used generic store bought pitas which were not nearly as good as the smaller, but fluffier fresh made pitas from Cafe Istanbul (http://www.cafeistanbulabq.com/Home.html). The fresh pitas really helped to make this recipe even more delicious. Additionally, the original recipe says to halve the pitas, but we found that opening them up and stuffing them instead works much better and less of the filling falls out. We also got some tabouli salad from Cafe Istanbul to go with our dinner tonight. Nick also added romaine lettuce to his shawarma for an extra crunch. This recipe can really be customized to add any variety of veggies you desire. Chicken Shawarma frying! Almost done! 2. 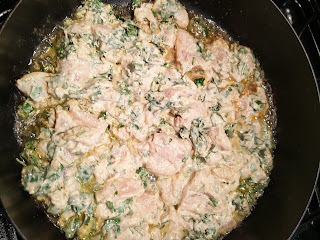 While chicken cooks, combine remaining 1/4 cup sour cream, remaining 1/2 lemon juice, remaining 3 chopped garlic cloves, and tahini, stirring well. Add more tahini or lemon juice to taste. Spread 1 heaping tablespoon tahini mixture inside each pita. Divide chicken evenly among pitas. 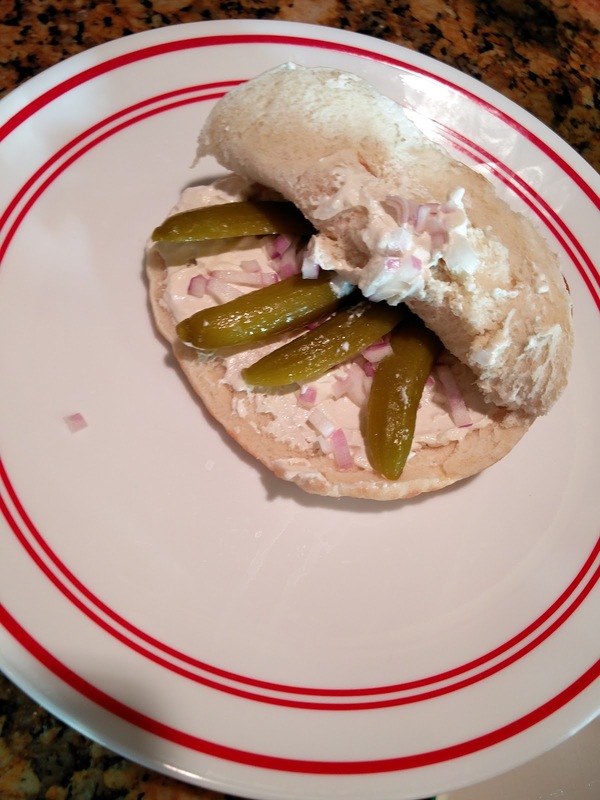 Fill each pita with desired amount of pickles, tomatoes and onions. Serve! Very easy and quick to make. 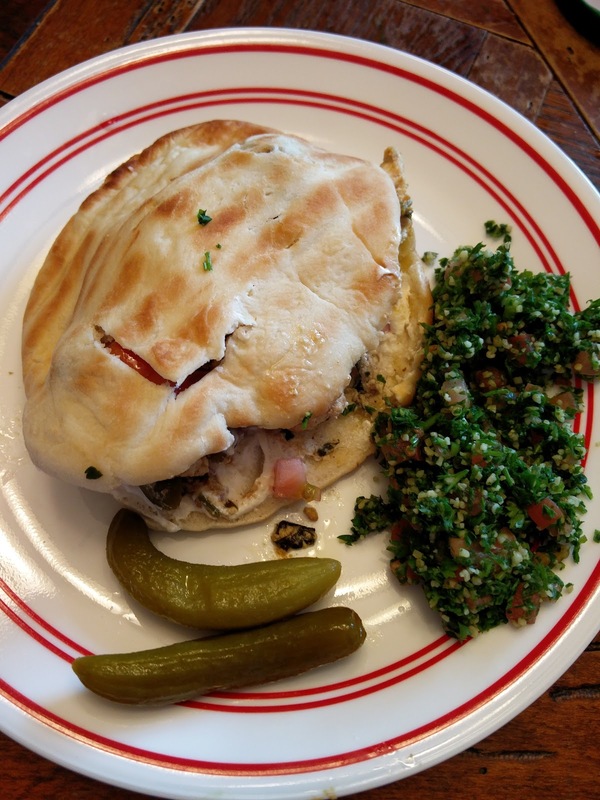 Most ingredients are usually on hand - just pick up some pitas and you can make chicken shawarma! It was great. After our modifications to the "inspiration" recipe from Cooking Light, there is nothing that we did not like. He discovered some canned chili in the pantry and had a dinner of beans and corn. He loves beans. After we came home from Istanbul, he did devour a whole pita with hummus though. He loves pita and hummus and Cafe Istanbul has one of the best hummus in town! Nick keeps forgetting to use the steel pan. We will use the steel pan next time to make a crispier chicken.